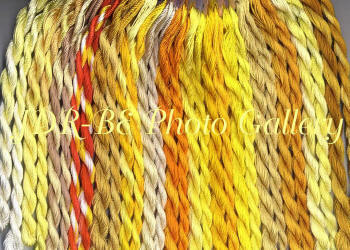 It is not just for Brazilian Embroidery. 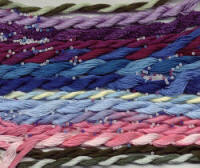 Surface embroidery, Stump work, Cross stitch, Hardanger and other embroidery techniques can use these threads. 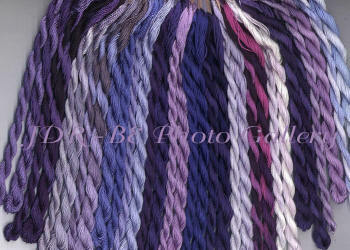 The designer packages have 1 skein of Lola and 1 skein of Iris in 16 - 20 different colors in that "family". 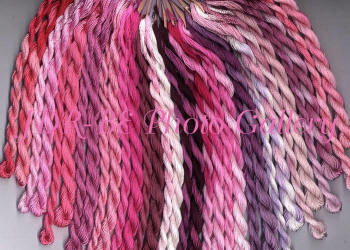 The thread color grouping is a great addition to your thread stash and can be used in any of your embroidery creations. These threads are NOT separated like the DMC threads. The stands are used as is. 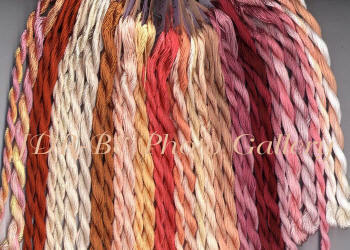 Beautiful dimensional embroidery can be created with the this shimmery thread. Satiny effects can be created when satin stitching with these threads. Clothing that is embellished with the EdMar thread will be wonderful to wear and easy to wash.
Denim fabric is an ideal fabric to embellish. 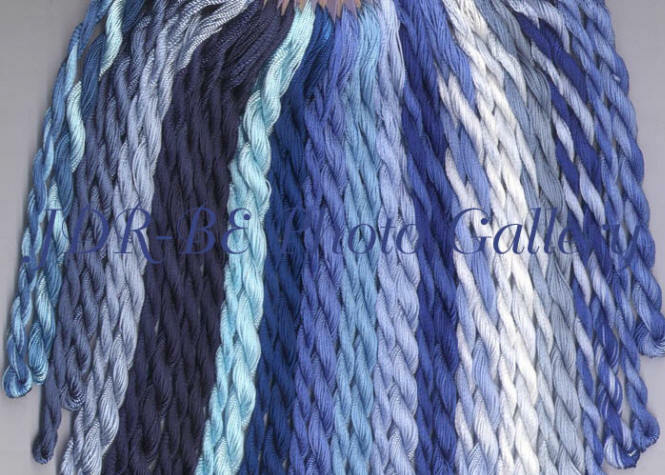 The rayon thread wears and washes well.